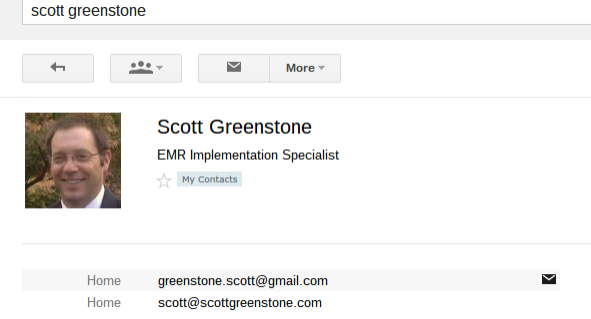 The new Gmail Contacts Preview has been out for over a week, and for the most part I have been impressed. The Material Design, ease of duplication removal, and simplicity of the screen has made handling contacts much more pleasant. Sending emails to contacts in the old interface was a little bit tedious. First you had to find the contact. Then you need to click on the contact to open the contact (unless you selected the proper contact from the autofill drop down), then you needed to click on the envelope next to the email address you want to send. This procedure is somewhat cumbersome. Now with the new Google Contacts - still in preview stage - you can simply email a contact in 1-click, after finding the appropriate contact. All you have to do is click on the email address shown in the search result. This will open a popup window of the classic Gmail compose screen. If the contact has more than one email address you will notice a drop down arrow to the right of the email. Just click on that and it will show you the other email addresses available for you to choose. The emails in the drop down will display in the order they are entered in the full contact card and the one that displays in the search results will be the first entry in the card. Stay tuned for more new google contact tips. 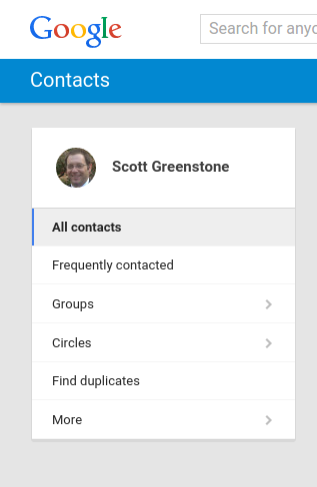 How are you liking the new contact preview from google?